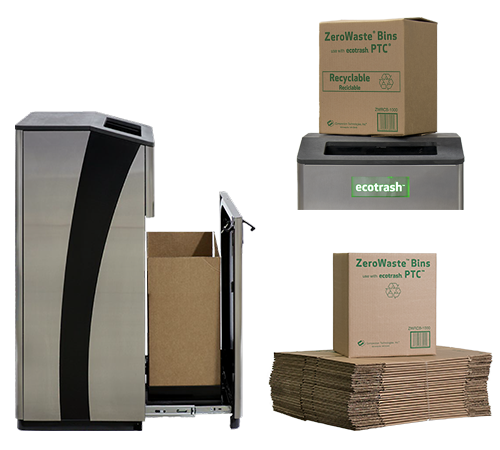 Original ecotrash® and ecotrash PTC® are commercial solutions for the Industries we serve. Our company’s focus is exclusively on commercial applications in the continental United States. (We don’t have offerings for residential use or serve markets outside the U.S.) That said, some of our biggest fans are consumers like you who value Sustainability, are tired of being grossed-out by over-flowing trash cans, and want to have an awesome guest experience at the businesses you frequent. Not much has changed over the last 100 years in how trash is deposited and handled. We’re rethinking trash from the start – when you throw it away – and it’s changing the customer experience. No more touching filthy trash can lids or flaps to throw something away. 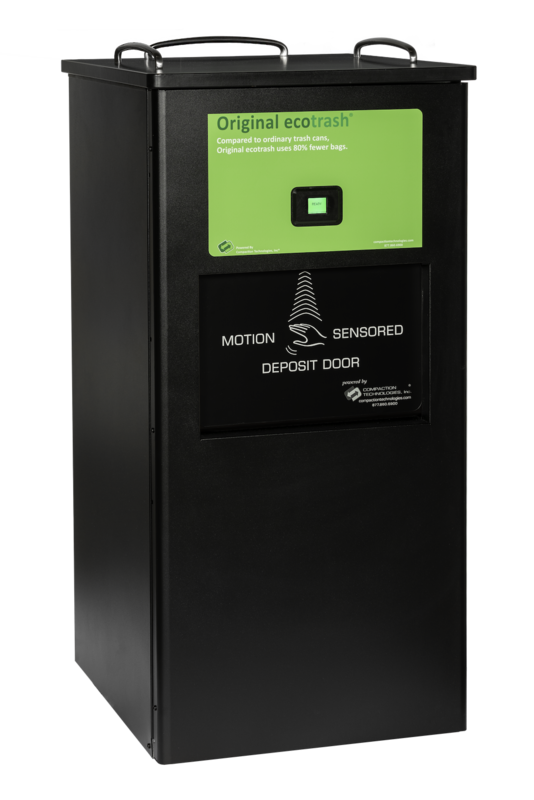 No more full and over-flowing trash cans or pushing-down trash with your hands. Fewer trash bag changes and a cleaner process mean fewer opportunities for contamination when employees don’t wash their hands before returning to work. Fewer trash bags to landfills, and fewer miles put on trucks picking-up loose, fluffy trash. With high capacity, fewer trash containers are needed. Imagine food courts with more seating because fewer than half the trash cans are necessary. A customer once told us… ”I’m spending $600/square foot on this building, and I’m not going to cover it up with trash cans”. No more hand-compacting to fit paper towels into the trash bin. A stream of pure, clean, used paper towels that can be recycled with other fiber, composted, or used as feed-stock for manufacturing new paper towels. The possibilities are there when we Rethink Trash Handling.